Planning a beach vacation is strong motivation for losing a few pounds. There are, however, even better reasons to shed excess weight. At least 50 different health issues are linked to being overweight or obese. Eating healthier foods and exercising regularly will reduce your risk of contracting certain diseases. Not only that, but your weight contributes to emotional and mental wellness. According to the American Heart Association, carrying just 22 extra pounds increases the risk of stroke by 24 percent. Overweight men and women typically have high blood pressure, elevated cholesterol levels and a 32 percent greater risk of heart disease than lean people. Losing even a modest amount of weight pays big health benefits. In one study, subjects with hypertension who lost 10 pounds over six months significantly reduced their blood pressure. They showed about the same improvement that they would have if they’d taken blood pressure medication. Diabetes, the seventh leading cause of death in America, is on the rise. One recent decade saw an increase of almost 65 percent, and this mirrors the dramatic spike in obesity. Around 90 percent of people with Type 2 diabetes are obese or overweight. There are grave complications to having high blood sugar levels. Kidney failure, leg or foot amputation and blindness are common. Staying lean and watching sugar intake is the surest way to prevent diabetes. The American Cancer Society has found strong correlations between excess fat and certain cancers. Both men and women who are overweight have a greater risk of developing pancreatic, colon, liver or esophageal cancer. Overweight men are especially prone to prostate or stomach cancer, and heavy women are susceptible to cancer of the breast, ovary, cervix and uterus. Part of the problem may be reluctance to see a doctor for cancer screening. Large women tend to put off mammograms and pelvic exams. Prostate exams are uncomfortable enough for men of healthy weight, but they are even more difficult for overweight men. Excess fat shows up in places where you’d least expect it. One example is along the airway through which you breathe. Gaining weight narrows the air passage and affects sleep quality. Snoring and sleep apnea could develop with weight gain and interrupt sleep. All the experts agree that poor sleep impacts energy levels, cognitive ability, focus, memory, mood and even blood pressure during waking hours. Being overweight can trigger depression. Depression can trigger weight gain. In either case, the two go hand in hand. Obese people are 55 percent more likely to have depression than people at a healthy weight. U.S. cultural emphasis on being thin wreaks havoc on the self-esteem of large people. 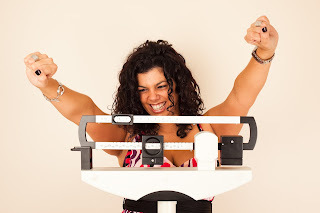 Losing weight can restore confidence, brighten mood and increase motivation. Risk of death rises significantly for men and women who are overweight in midlife. It becomes more and more difficult to walk, rise from a chair, get in and out of a car or lift heavy objects. All of those activities put additional strain on an aging heart. Making changes could prolong your life. Getting rid of excess fat is good for the body, mind and spirit. Losing just 10 percent of your weight makes a remarkable difference, and even a 5 percent loss will be noticeable in your physical and emotional health. Looking good on the beach is just an added perk.